For all the awesome technology we’re privileged to see here at Vortez on a week-by-week basis, little can evoke our enthusiasm more than a brand new graphics card. And although that’s true for all new GPUs, it’s especially the case when it’s a flagship model from one of the big names; not only does it show us what’s possible today, but also what every PC gamer will be able to look forward to in the not too distant future. Today’s bleeding edge is tomorrow’s mid-range, with a legion of enthusiasts itching to experience games they’ve loved at new heights of visual fidelity. So, it’s with surpassing pleasure that today we take a look at NVIDIA’s new premier graphics card, the GeForce GTX 1080 Ti. A brand-new entrant into the already well appointed GeForce GTX 10-series, and built with the award-winning Pascal architecture, this disruptive new GPU replaces and demotes the GTX 1080 in NVIDIA’s product stack whilst rivalling the NVIDIA TITAN X as the undisputed king of performance GPUs. In recent generations GTX x80 Ti models have always been high watermarks for NVIDIA’s range. The tradition (if you can call it that) began with the GTX 780 Ti, a card that confounded and astonished in equal measure as the 700-series’ apex. Even this however was eclipsed by the TITAN Black, the final entrant in of the now retired Kepler architecture. Next came the GTX 980 Ti, a far slimmer model than the Maxwell TITAN X of a similar 2015 vintage. It didn’t boast range dominance, but did come in aggressively priced and turned out to be a very attractive and popular design (as much as a graphics card with $649 price tag could be). Today, the GTX 1080 Ti is expect to surpass the GTX 1080 by more substantial margins than ever before, and there are also whispers that it will even out-pace the current $1200 professional-class top-dog. Once again, the launch encompasses a Founder’s Edition reference design, complete with familiar cooling solution and angular aluminium shroud; partner models are expected in the coming weeks. Aside from raw performance highlights include a new GDDR5X memory speed that will be filtered down to other Pascal SKUs, and a larger memory buffer than has been available in the performance segment thus far; but make no mistake – raw performance is definitely the GTX 1080 Ti’s main selling point. With this release, NVIDIA are pushing the boundaries of high resolution performance, testing the waters of 5K (5 x 1080p resolution) in modern triple-A titles without the need for complex multi-GPU configurations. Gamers without those monitors will instead relish pushing higher frame rates, taking full advantage of a new range of 240Hz monitors released this year by manufacturers like ASUS and AOC AGON. Meanwhile mainstream gamers can absorb today’s findings knowing that in the not too distant future, perhaps just a few years, cards they can afford may offer similar performance at more realistic resolutions. The GTX 1080 Ti launches at $699 in the US, identical to the June launch MSRP of the GTX 1080, and is available worldwide. As a consequence, the GTX 1080 price has been revised downwards to $499, although this only extends to AIC/partner designs; in some regions the GTX 1070 has been squeezed downward as well. 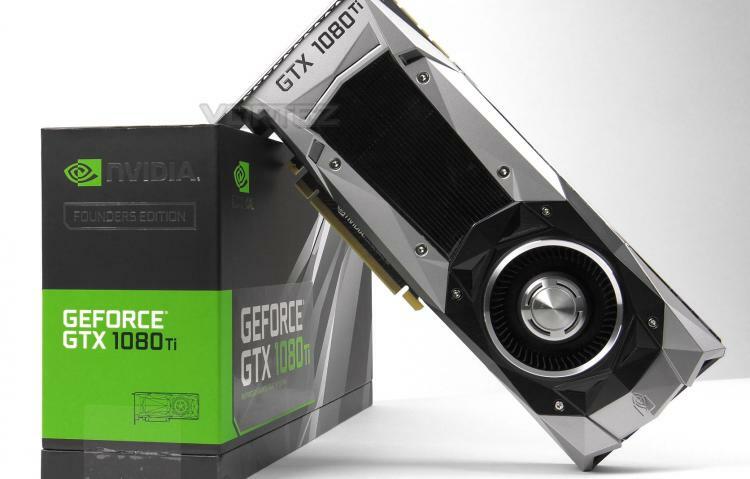 In the UK the GTX 1080 Ti is set to retail at £699 inc. V.A.T. (for those financially inclined this is within 4% of the direct currency conversion), although this will inevitably vary based on demand and stock levels.